POTATO GNOCCHI RECIPE & HISTORY - all you need to know! 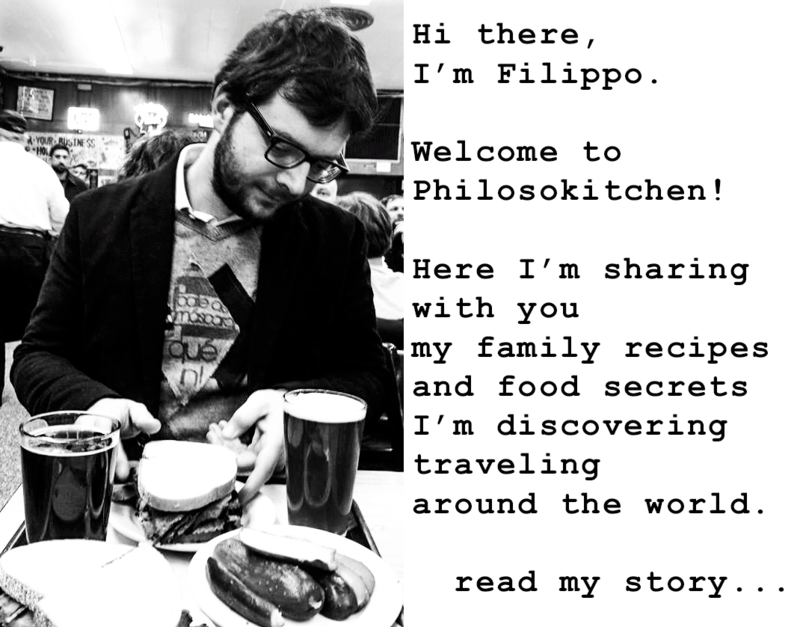 You are here: Home / Food Story / POTATO GNOCCHI RECIPE & HISTORY – all you need to know! Gnocchi is maybe the most ancient Italian food. Mixing flour with water and other poor ingredients was the simpler way to eat for who couldn’t afford the proteins. In the I Century BC, Marco Gavius Apicius wrote the first official recipe for gnocchi in his book “The Re Coquinaria”. A mixture of semolina flour combined with milk or water, then fried, and finally seasoned with honey and black pepper. This recipe is no so far from the contemporary version of Gnocchi Alla Romana. The term Gnocchi originates from the Langobardic word Knohha; that’s means knot. In Lombardy, during the reign of Sforza family, it was common to serve the Zanzarelli, a medieval version of gnocchi made with bread, milk, minced almonds and Cacio Lodigiano cheese. In the XVII Century, almonds were replaced by flour and water by eggs, and gnocchi were called Malfatti. But, the ingredient which brings the ancient versions of gnocchi to the delicious dish worldwide famous, came from the other side of the ocean: the potatoes! Despite the early importation of Potatoes from the new continent, their use into the European cuisine starts from the XVIII Century. During the XVI and XVII centuries, in most parts of Europe the potatoes were considered a vegetable of the devil, and poisonous, and used to feed animals and war prisoners. The first Italian regions have begun to culture potatoes were Tuscany and Veneto, followed by Emilia-Romagna. Overcome the first suspicions, potatoes have become world-famous, and consumed in vast quantity, thanks to their low price and nutritious properties! 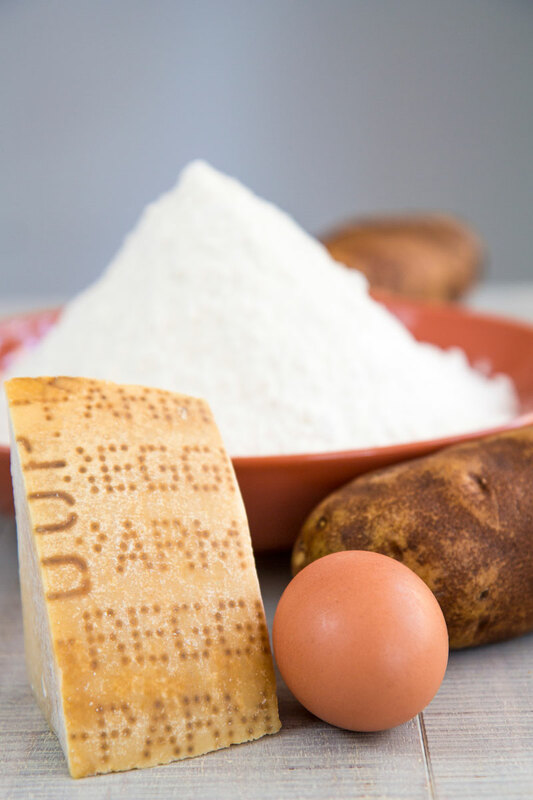 Potatoes have revolutionized the Italian gnocchi, and they have partially replaced the amount of flour! Currently, the potato gnocchi are the most popular gnocchi in and outside Italy. Potatoes gnocchi are soften then others, and more digestible, and so tasty! TWO LEGENDS FOR A LEGENDARY RECIPE! Among several legends concerning potato gnocchi, two of them are particularly interesting. The first tale narrates of a big famine in Verona on 1531. The Venetian city was on the verge of a revolt, especially in the district of San Zeno, populated by poor people. To avoid the risk of a war class, Tommaso da Vico, a noble physician who lived in San Zeno, offered to the needy people an enormous quantity of supply, including flour, butter, wine, and cheese. Tommaso da Vico died the same year, but he left written in his will, that the people of San Zeno should receive supplies every last Friday of Lens. When the potatoes started to be popular, were included in the supplies given to the people. To remember the generosity of the Noble Venetian, potato gnocchi has become the traditional recipe of Carnival in Verona; a ritual still lives at this time! The second tale has an unusual protagonist, Alessandro Volta pioneer of electricity and power. Few people Know that Volta was a food enthusiast. On a visit to the French Court, probably at the end of XVIII Century, Volta met Antoine Parmentier, a French pharmacist. During the seven years war, Parmentier was imprisoned in Germany and fed with potatoes. This should have been a humiliation against the prisoners because potatoes were the food for animals. But, Parmentier found potatoes delicious, and when he come back in France started to experiment new recipes with potatoes! Alessandro Volta was so impressed by the Parmentier‘s potatoes recipes he tried to repeat them. The legend has it that one of the experiment was mixing potatoes with flour and eggs, creating the first version of potato gnocchi! The most famous seasoning for potato gnocchi is a simple, fresh tomato sauce. Butter and sage, are mushrooms sauce are another popular way to seasoning them. But, thanks to the versatile taste of potato gnocchi, your fantasy is the only limit to toss and serve gnocchi! Italian regional cuisines have created plenty of particular gnocchi recipes. In Friuli, we find the biggest Italian potato gnocchi, stuffed with a whole plum and tossed with melted butter and sugar. 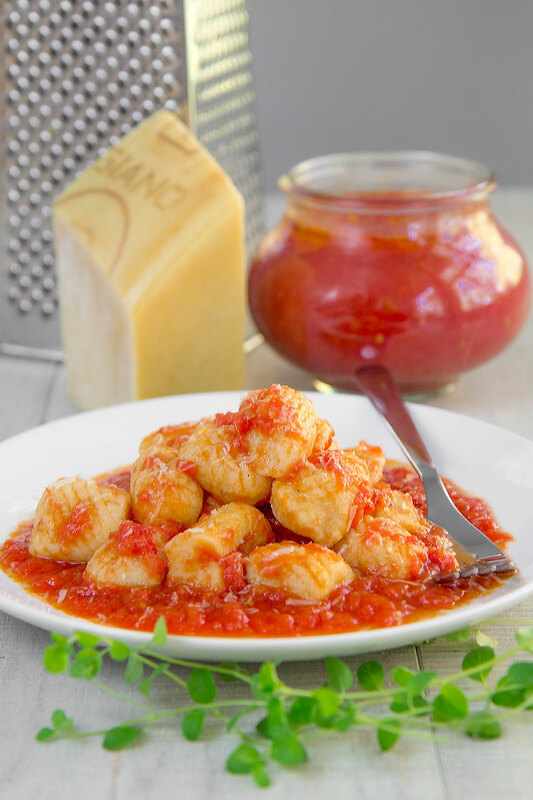 A Southern Italian recipe worldwide famous is Gnocchi Alla Sorrentina; baked dumplings seasoned with fresh tomato sauce, mozzarella, and sweet basil leaves, delicious! Besides potatoes, a recipe close to the medieval gnocchi recipes is North Italian Canederli; dumplings made with bread, milk, flour and a cured meat, served with broth and garnished with chives. Another classic recipe is Gnocchi Alla Romana, made with semolina flour, Pecorino Romano, and butter, a must to try visiting Rome! In Mantova and Parma is typical prepare gnocchi with pumpkin, tossed with butter, and Parmigiano Reggiano, and fresh sage. Finally, one of the most loved by kids: Chicche Verdi di Ricotta, little dumplings made with spinach and ricotta, seasoned with Gorgonzola cheese sauce! The best potatoes to make gnocchi are Russet potatoes, as old as possible. The worst enemy of gnocchi is the humidity of the potatoes. 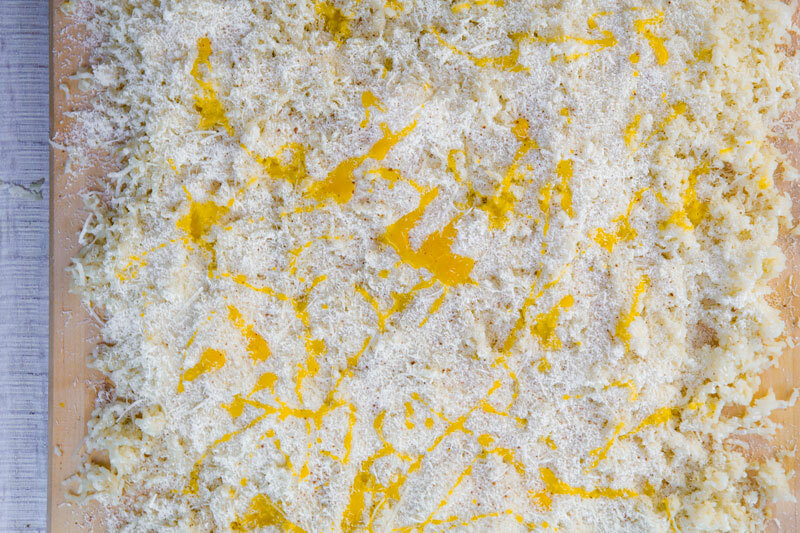 Knead the dough quickly over a wooden cutting board. Yolks into the dough are suggested, but not mandatory. Gnocchi without yolks are more tender but tough to make. The only way to preserve gnocchi more than a couple of hours is freezing them. Just place gnocchi into a tray lined with parchment paper and a sprinkle of flour. Leave space between gnocchi and freeze until completely frozen, then store in a plastic bag. Place the potatoes into a pot and cover with abundant cold water. Add a tsp of table salt and place over high heat. Cook the potatoes around 35 mins after the water starts to boil. The potatoes are ready when is possible pierce them easily with a knife, but the skin is still intact. Raise the potatoes with a slotted spoon. Peel the potatoes still hot, then dry them with a kitchen towel. 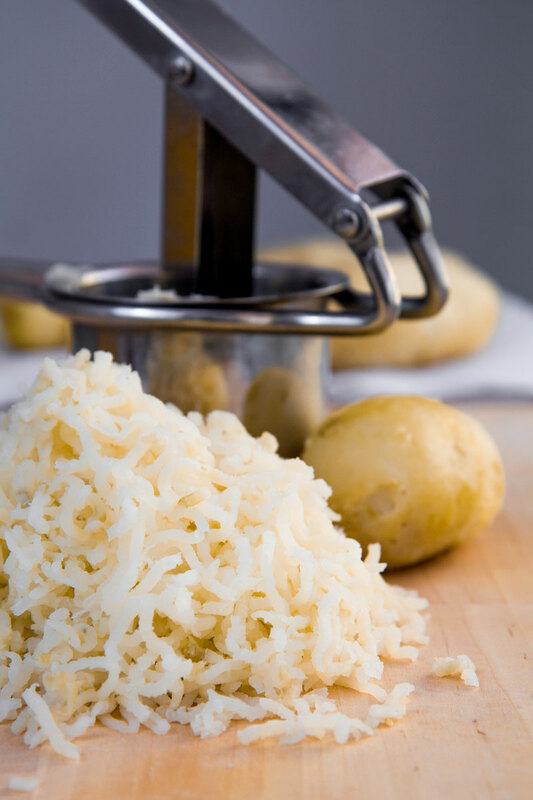 Mash the potatoes as soon as possible with a ricer or a vegetable mill directly over a wooden cutting board. Spread the mashed potatoes, the layer must be thinner than ½ inch. Let the cutting board absorb the humidity of the potatoes a few minutes. Finally spread over the potatoes the grated Parmigiano Reggiano, the nutmeg and the beaten yolk. Finally, incorporate 1.25 cups of flour. Now, knead the ingredients quickly, until forming a consistent dough. Incorporate the remaining flour only if necessary. Work the dough as less as possible. Take a fistful of dough and roll up it into a log 1 inch thick. Cut the log into dumplings. 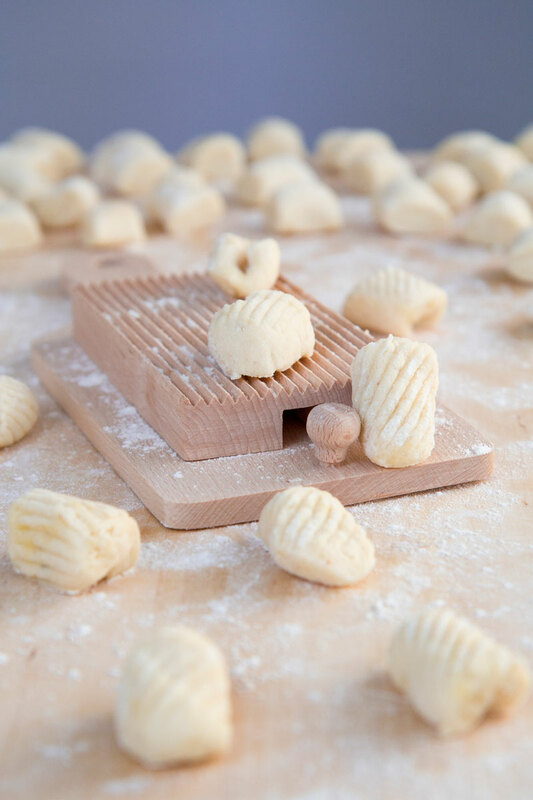 Traditionally the gnocchi are shaped rolling them on a gnocchi board, but is not mandatory. 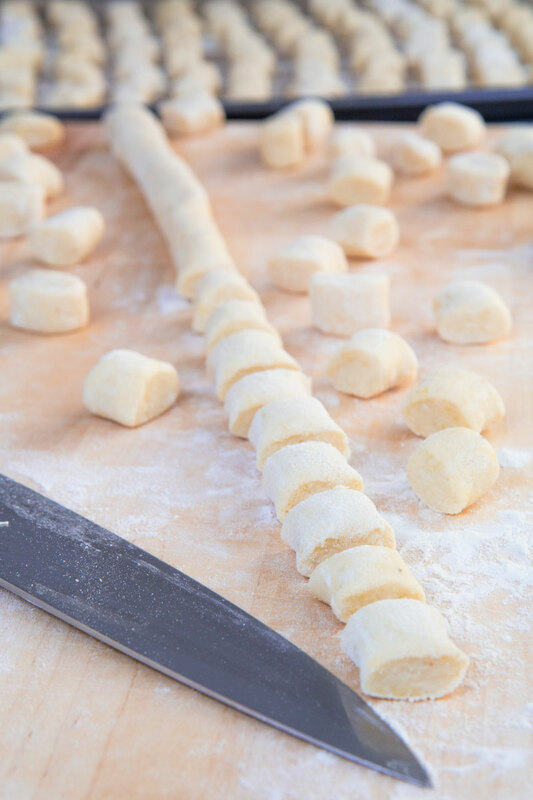 Place the gnocchi over a tray lined with parchment paper and a thin film of flour. Cook the gnocchi immediately or freeze as described on the paragraph “POTATO GNOCCHI TIPS”. Boil gnocchi into 5 qt of boiling water along with 4.5 tbsp of table salt. The gnocchi are ready when they will rise to the surface. Toss with your preferred sauce. « FOCACCIA BREAD LOCATELLI: quick and easy Italian flatbread! Love your recipes and the history! Thank you!!! I loved the history!